This native tree grows through out the eastern half of the United States and Canada. This legendary medicinal plant is still very popular today. 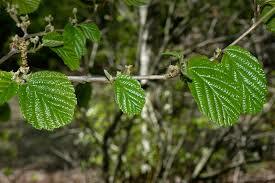 The Cherokee used an infusion of the bark to treat TB. It was also used to treat hemorrhoids and bleeding as well as a treatment for varicose veins. An infusion was used to treat skin abrasions and to wash sores. A tea was made from leaves to treat colds and sore throats. 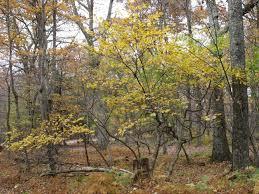 The Cherokee always collected bark from the eastern side of the plant because they felt that it made stronger medicine. 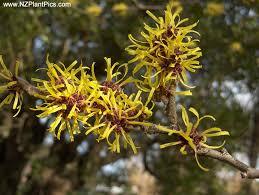 Witch Hazel grow best in partial shade and in light moist soil. It does require extra water when it is being established. It can grow to over twenty feet tall, but without pruning, the branches can begin to weep. It is slow growing and is considered a large shrub or small tree. It is the last shrub or small tree to flower during the year. Flowering usually takes place in October when it’s leaves are yellow. In the wild they can often be found along stream banks. This small tree is easily adaptable to the home garden, it does require extra water until it is well established in it’s new home.